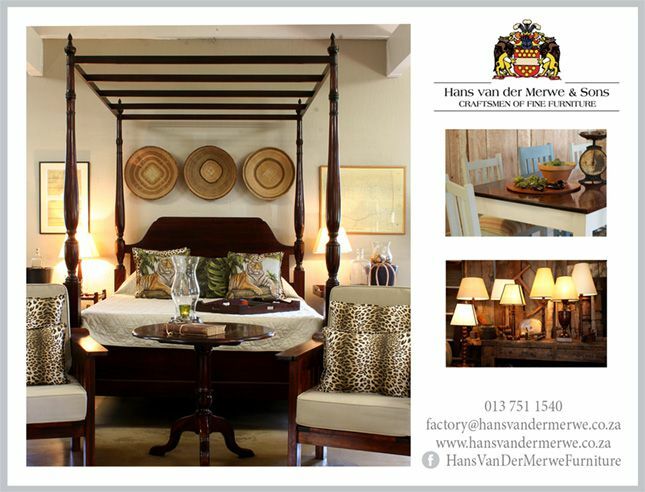 Educated at the Johannesburg School of Art, Music and Ballet, Hanlie went to Pretoria Technikon to study Fine Art, majoring in Drawing and Painting. 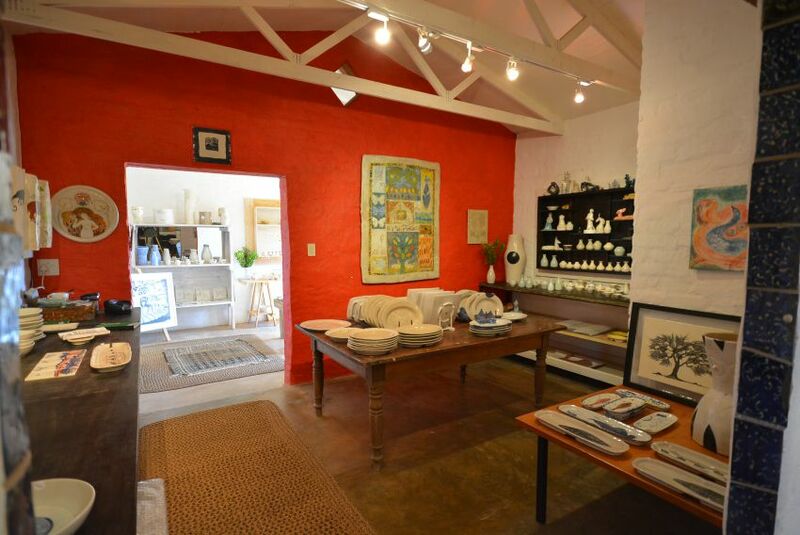 Here she met Anton Bosch, saying that it was “love at first sight.” Hanlie is awash in an aura of serenity and everything about her is quiet, but clearly still waters run deep and she has a courageous core because relocating to the famous Bosch family studio in the Lowveld must have been intimidating to a young artist. 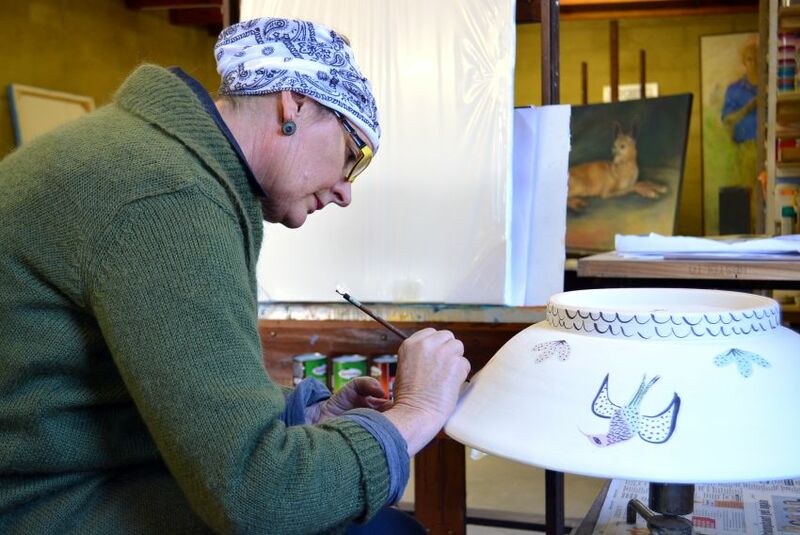 “Anton and I can draw, paint and work with ceramics – we can do anything,” she remarks and her work expresses her interest in both mediums. Hanlie hand-builds her sculptures rather than throwing them on a wheel, and she’s known for her figurines of dancers and gymnasts. That Arts, Music and Ballet school education paid off! Her mind is always thinking about ideas, especially birds and nature and Hanlie says she’s object-orientated. 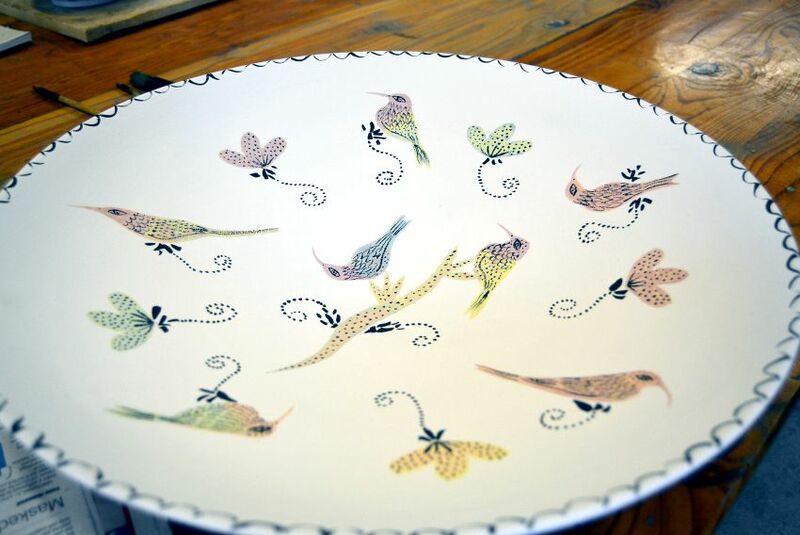 Her Sugar Birds are light, delicately drawn pastel creatures on bowls and platters which irresistibly beg the visitor to take them home, while the funky pipe-figurines hanging on the gallery wall are just plain fun. Like most women, she runs her working life alongside her role as mum (to Nina, Esias and Melissa) and grandmother as well as running the gallery, homestead and her studio while any time off is spent with friends or in the bush. Sitting on the stoep, watching her run a contemplative eye over the lush gardens she and Anton planted, it’s hard to picture her anywhere else. 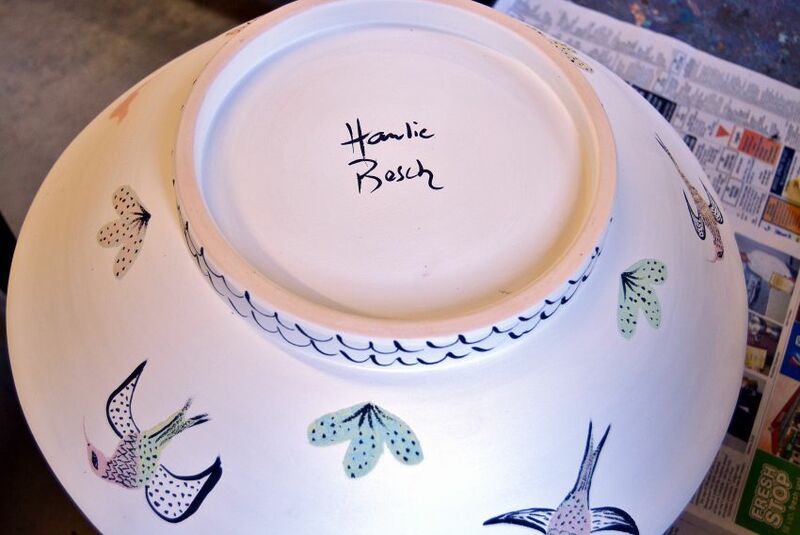 Hanlie Bosch has transplanted from the Highveld to the Lowveld with aplomb, and her exquisite art is testament to this.